I tried every step of the procedure. Alhamdulillah, i got it earlier. Once I upgraded the Raspbian Wheezy to Jessie, everything gone head-wire. I reformat back the SD to Wheezy, and subsequently, the internet connectivity unable to achieve. Same as other, I’m using Window 7 HP and be advised, my rpi able to Putty and Xming earlier. Very dire of your assistance thus I’m using rpi 2 for my final year project. And now, the project’s progress from 40% achievement down to 0%. Cant figure out which step I missed. Duly waiting for your assistance. Wa Alaikum As Salaam, are you still facing the same issue? First, I would like to thank you for this tutorial. It is great. I am running Windows 10 on my PC and Debian Jessie on my Raspberry Pi. I followed all the steps but I wasn’t able to ping outside from my LAN. In fact, when I ping the RPi from the PC it goes well but the other way does not pass. 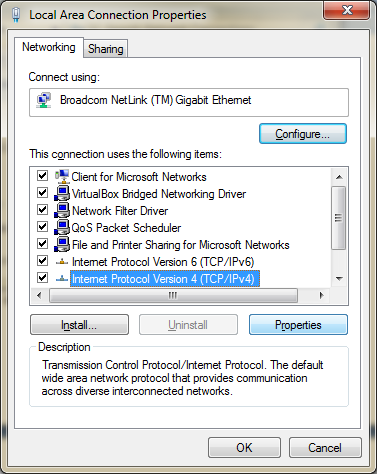 I unchecked the Ethernet connexion from the “Protected network connexions” window and I was able to ping the PC from the RPi but not the Internet. So I probably think that the problem is coming from the Windows 10 Firewall. I would be grateful if you can help me fixing this issue. Thank you. Thank you for trying this on recently released Raspbian Stretch and letting us know it works on it. Having the same issue, any idea on how to solve this? i use raspberry pi 2 B+,i connect putty and work well,but after use wifi share option,i connect putty but it will appear connection time out..please help me get out of this. 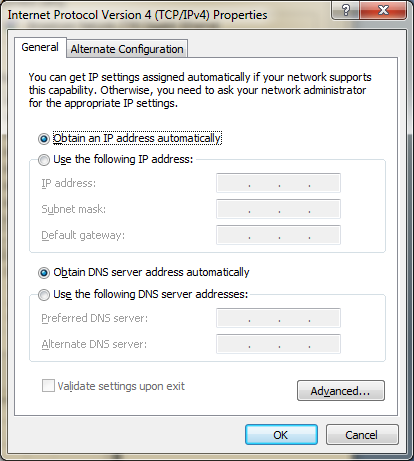 Is the “Obtain IP Automatically” radio button still selected in the IPV4 settings? First of all, thank you! After attempting to use multiple guides your’s got things working for me. All the others failed to note you must include the static IP AND the Default gateway for the LAN cable in the cmdline.txt. I could replicate almost everything, except that if I share my WiFi internet connection, I couldn’t event connect to Pi via putty. I checked I have obtain IP automatically for both laptop and Pi. Which method are you trying? nameserver was assigned as my static given ip address so i changed to 8.8.8.8(google) It works fine now. That’s all I did.It worked for me. Anwaarullah…Thank you for the Tutorial.Very helpful.easy to understand. i tried all the methods(1,2,3). All steps are fine. 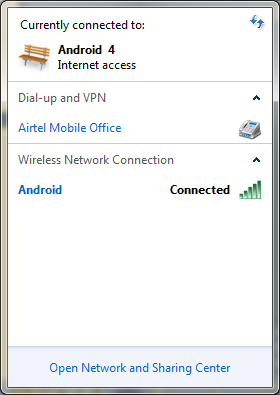 But I m not getting internet in pi. Any suggestions? 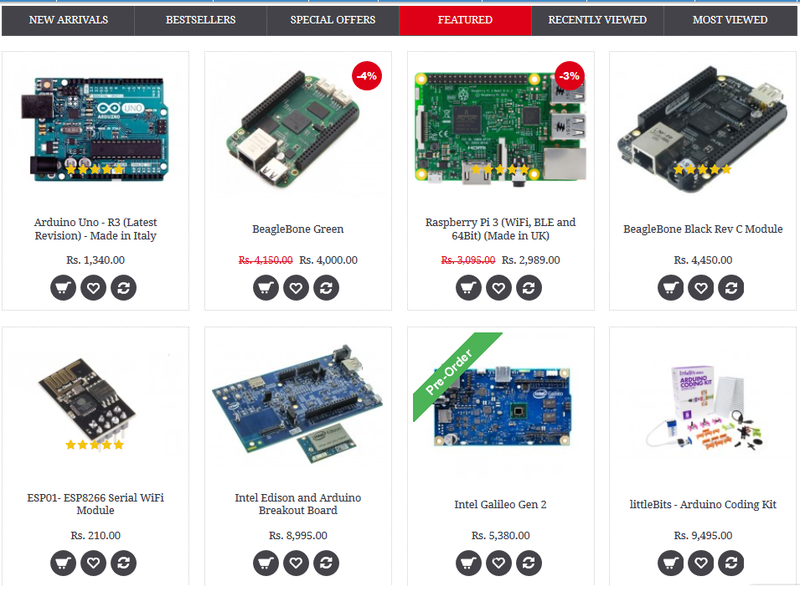 I m using Raspberry Pi 2 Model B 1GB. Please help me. 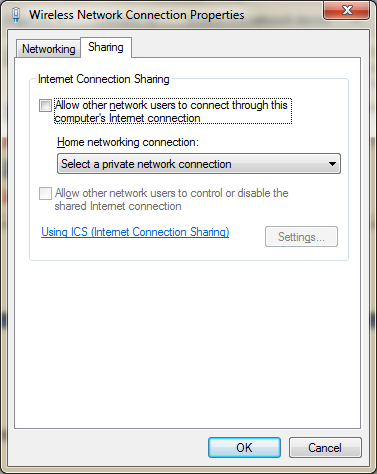 Which method is not allowing you to share Internet? Please note that all the 3 methods are different, and have to be debugged individually. If moving over from Method 1 to Method 2 (and to Method 3), please undo any changes/modifications made in the previous method. Dear Anwaarullah, I tried all the methods (1,2,3) separately with the same initial settings. Does firewall can block internet on Raspberry? Because I could ping Raspberry as well as Internet from my computer. I could ping my computer from Raspberry-pi.But Internet is not passed to Raspberry-pi. Please help me out. Happens. Which method are you trying? Hello, I have a question. I’m trying to connect to internet using METHOD 1. Everything works great till step 1.8, but still I’m unable to ping any website(not able to connect to internet). I’ve double checked sharing settings for my WIFI, seems good. How do I troubleshoot it? Please help !! Can you please try Method 2? Method 1: Striner’s Method works on Windows 10. I set it up using wifi through a Microsoft Surface 4 with a Simplecom USB 3.0 to RJ45 Gigabit Ethernet Network Adapter connecting to my Raspberry Pi 3. Thanks for the help. Very quick set up. On a side note. The Method 2: Using Network Bridging didn’t work on my Surface 4. I’ve used this method through my PC and found it to be the quickest, easiest set up, but the Surface and Ethernet adaptor didn’t seem to like it so I tried Method 1 and that worked. Thank you for confirming what worked (and what didn’t). Same is happening with me.How do I solve this? Does one of the above methods work with the osmc os on a raspberry pi 1? I haven’t tried it with OSMC. If you have an OSMC running, can you please test it and let us know if it works? It works for me with the method 1. Hi thank you for sharing Method 2, I can use internet now some of the time on the Raspberry Pi 2B, and Method 2 is working ok on Windows 10 ! Sure. Let us know how that goes. Lovely post and it actually made my day.. I have been able to connect the Pi2 on windows 7 and also see the gui using xming and putty. Assalamualaikum Anwar, i’m trying to follow the 3rd method, but fail at the 12th step. When i try to ping http://www.google.com, it shows “ping: unknown host http://www.google.com” as the result. 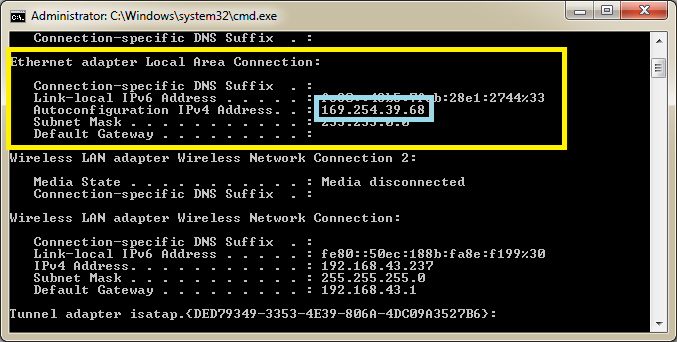 It can ping itself (ping 169.254.161.46), but can not ping the ethernet interface (ping 169.254.161.44). 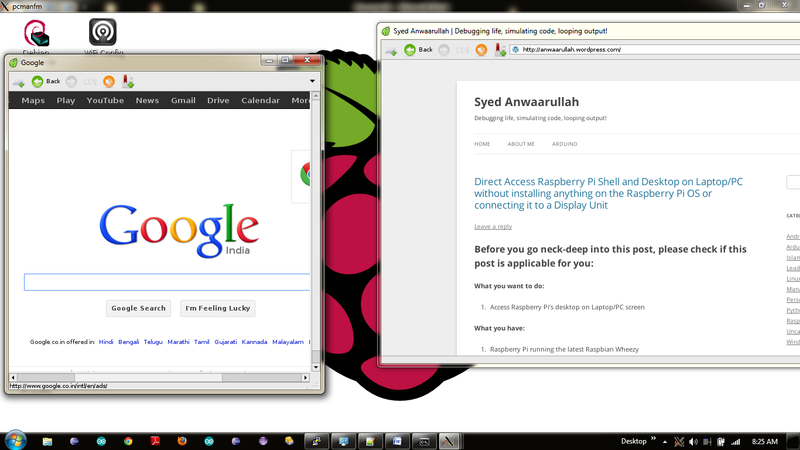 I try to ping raspberrypi.mshome.net but it say unreachable. How do i do? Reply from 192.168.137.1: Destination host unreachable. Using a latest Raspbian Image? SSH on Pi enabled? Latest image has the SSH turned OFF by default. Please have it enabled first by placing a dummy file in the SD Card (details found in first section of this post). I tried others methods like appending ip=19….. at the end of cmdline.txt in the SD but nothing else worked thanks to the faulty ics on Win 10. OK I have no idea why this works but it just does. I have been struggling with Windows Networking in general but this just happens to puzzle me the most. 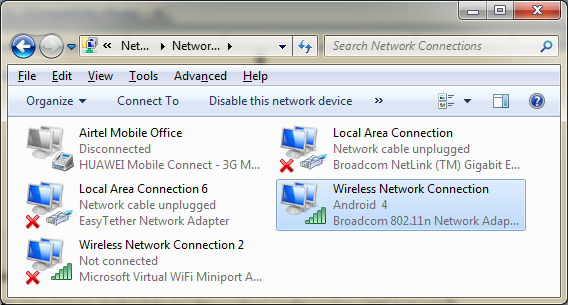 It seems reconnecting the cable may help the ICS rediscover the device, and assigning it a new local address that works. Kudos to you, it is never irrelevant to point out this kind of strange issue. Helped a lot. Method 1 did not work for me, dont know why. But method 2 worked without problems. I have a raspi B+ with jessie noobs installed and a ethernet cable to windows 10. .. and I had a my pi named blackberry so I could do putty SSH to blackberry.local without scanning for the IP address. i am using Method 1 , everything works fine but when i use ping http://www.google.com , it shows- destination host unknown,packets are being transmitted but not recieving, please help me its urgent,i cant try other method right now+ i have turned my firewall off…..
hi i’m using raspberry pi 3b with win 10. i tried all the methods. Connecting to SSH is fine but i couldn’t connect the pi online. when i ping 8.8.8.8 the error showed “connect: Network unreachable” Help me pls!! 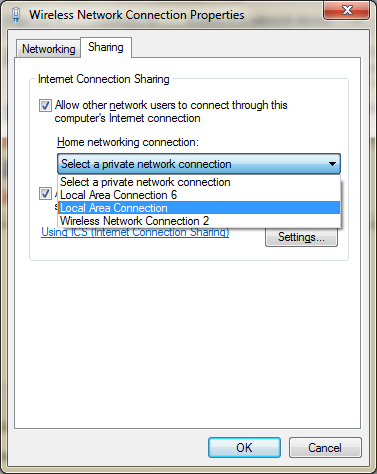 Any firewalls on the PC blocking network sharing? Assalamu’alaikum Sir, I have a problem about the step no 1 and 2. I haven’t got the reply after “ping” on cmd. So, I can’t continous the process. What could I do, Sir? 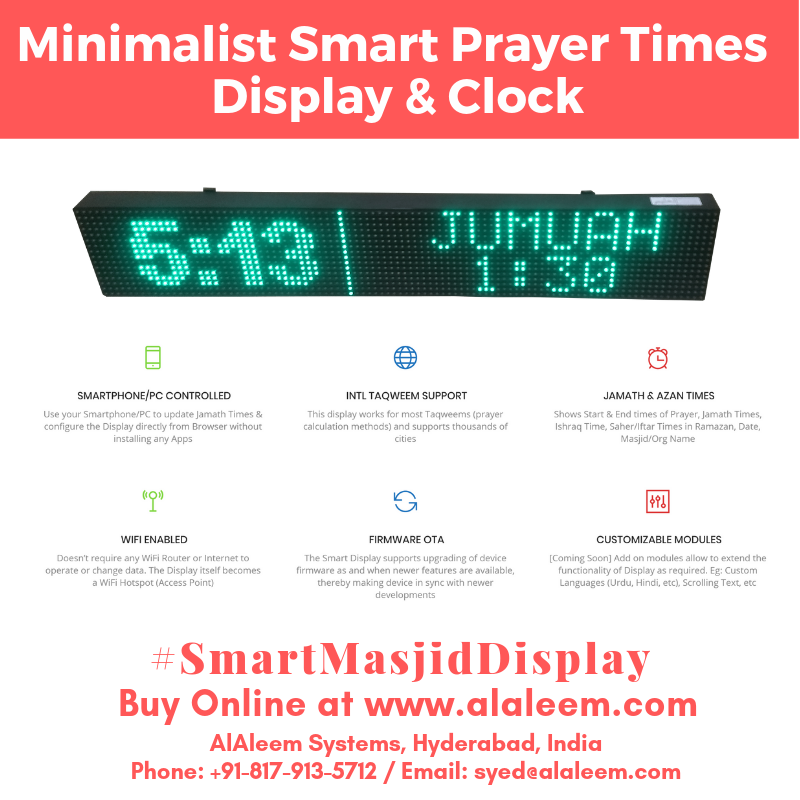 Wa Alaikum As Salaam. Maybe try method?